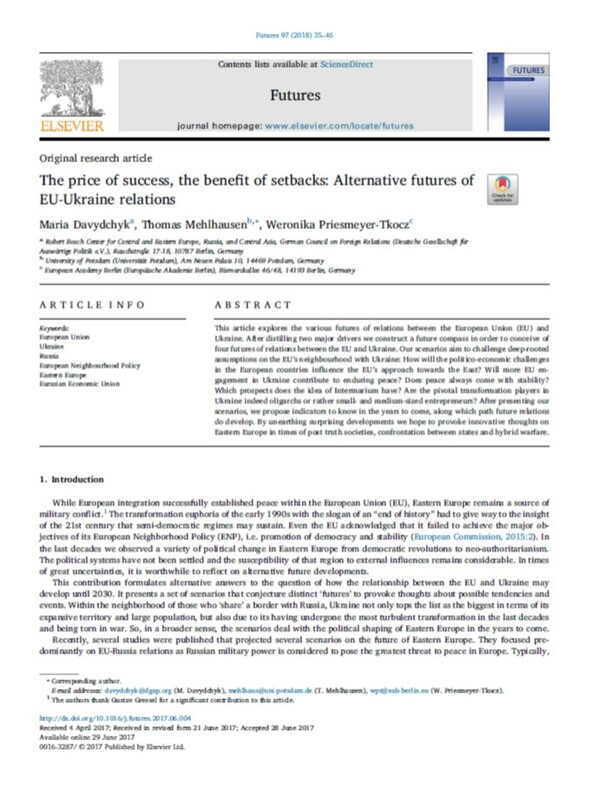 This article explores the various futures of relations between the European Union (EU) and Ukraine. After distilling two major drivers we construct a future compass in order to conceive of four futures of relations between the EU and Ukraine. 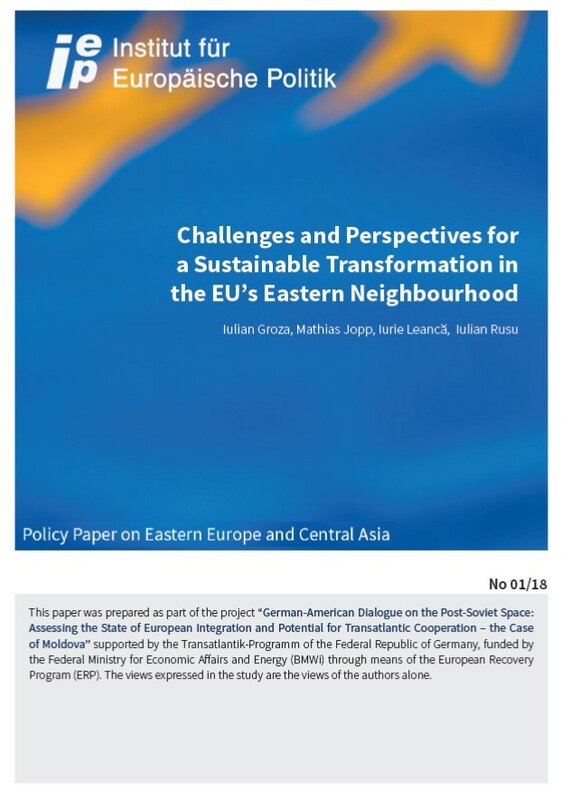 Our scenarios aim to challenge deep-rooted assumptions on the EU’s neighbourhood with Ukraine: How will the politico-economic challenges in the European countries influence the EU’s approach towards the East? Will more EU engagement in Ukraine contribute to enduring peace? Does peace always come with stability? Which prospects does the idea of Intermarium have? Are the pivotal transformation players in Ukraine indeed oligarchs or rather small- and medium-sized entrepreneurs? After presenting our scenarios, we propose indicators to know in the years to come, along which path future relations do develop. By unearthing surprising developments we hope to provoke innovative thoughts on Eastern Europe in times of post truth societies, confrontation between states and hybrid warfare. Marking the 40th anniversary of the start of their dialogue ASEAN and the EU have agreed to work towards establishing a strategic partnership. While trade has always been the cornerstone of the relationship - ASEAN is the EU’s third largest trade partner - the EU’s ambition to expand its role as a global actor demand increased engagement. Both sides face common challenges that can only be addressed through joint responses that involve all stakeholders. To be strategic the partnership must embrace all aspects, from trade to energy, from climate change to security issues, from human rights to sustainable development. Deepening and enhancing relations between one of the most dynamic region in the world and the largest and most affluent market will bring important benefits to both European and ASEAN citizens. The last years have seen an increase in contacts but the many challenges faced today by the EU, internally and in its close neighbourhood, risk to require all attention and put the EU-ASEAN relations at risk. Finally the study argues that strengthening the parliamentary dimension of the relationship would, besides supporting representative democracy in Southeast Asia, contribute to maintaining the momentum launched in 2012.